RIDGE RACER Unbounded gears up to carve its own destructive path on a spectacular collision course! RIDGE RACER is on its way back into the eager hands of gamers and RIDGE RACER Unbounded is coming to add an unexpected dimension to the series and deliver an original blast of ferocious racing adrenaline. Easily create thousands of tracks and share them online. The Expendables videogame is a way for fans to experience all of their favorite explosive moments, as their favorite stars, in 4-Player Co-op action. Topple buildings and terrorize civilians as a giant creature wreaking havoc. Defeat rival monsters to be the strongest in the world. Unravel the mystery in this legendary RPG from ATLUS! Join the enigmatic Crevanille on his journey through Noyeval as he tries to discover why mankind is being targeted for destruction. What power do the mysterious Angels possess? Who holds the key to preventing another tragedy? And how will your choices affect the outcome of world-shaking events? Discover the answers to these questions and more as you experience the legend of Growlanser! Watch the latest Japanese Anime & Asian Drama! 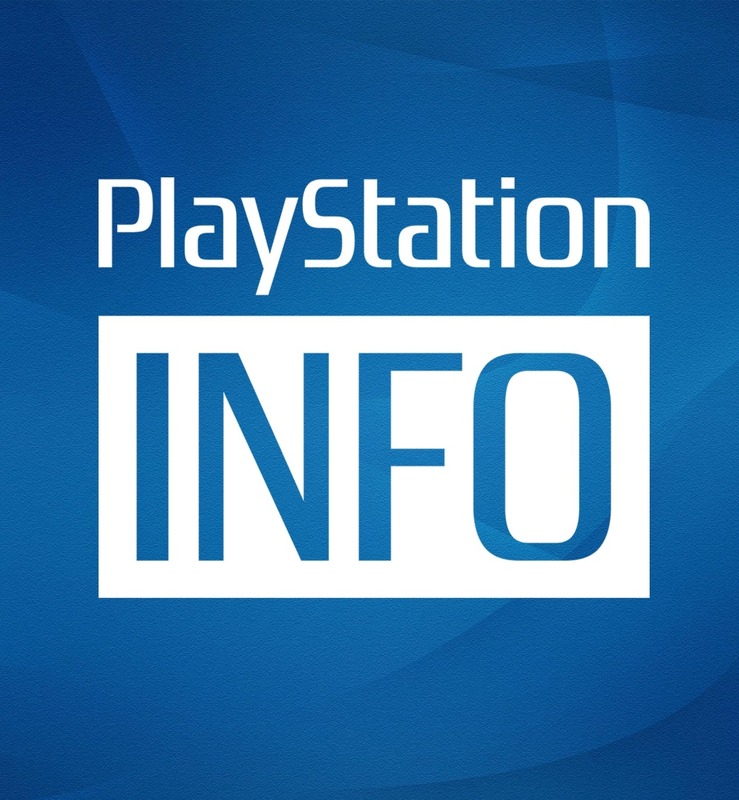 Now you can watch new episodes 1 hour after airing in Japan on your PlayStation 3. Watch the latest anime shows like Naruto Shippuden, Bleach, Shugo Chara!, Blue Exorcist, Gintama, The World God Only Knows, Bodacious Space Pirates, Nisemonogatari, Eyeshield 21, Skip Beat!, Beelzebub, Gosick, and more. 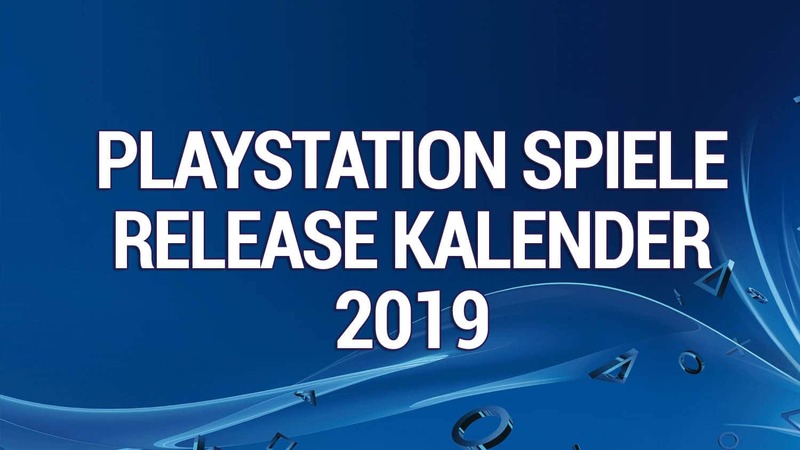 This week, make sure to check out the first game to release in this year’s PSN PLAY promotion! The Expendables 2 is a co-op arcade-style shoot ‘em up, and takes place just before the events of the upcoming movie of the same name, so make sure to play it before you catch it in theaters. Up to four players can join up to take part in an action-packed rescue mission spanning a number of exotic locales. It’s 20% off for PlayStation Plus members as well. 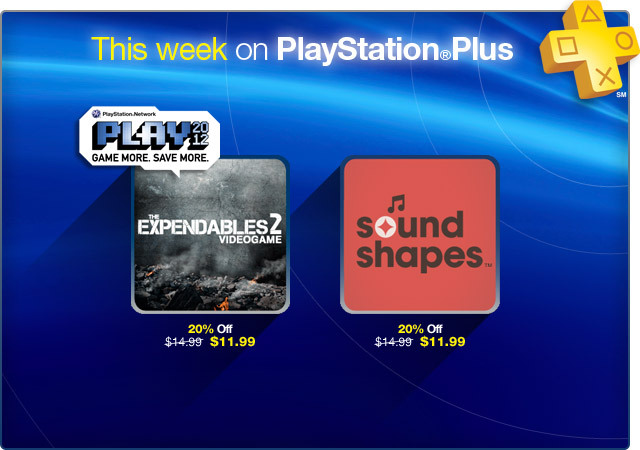 PSN PLAY is also offering up Sound Shapes this week for pre-order. It’s also 20% of for PlayStation Plus members, and pre-ordering nets you an exclusive static theme for your PS3. We’re also seeing the release of a great PS2 Classic in the cult favorite War of the Monsters. If you missed this one the first time around, be sure to check it out. Anime fans across the nation will be excited to see the new Video Services app Crucnhyroll debut as well! In addition, you’ll also get access to the best in Japanese drama, with new content coming online all the time. Make sure to check out great Add-Ons for new release Risen 2: Dark Waters, and also adorable new Disney princess costumes for Little Big Planet 2! The rest of this week’s update is below; check it out and let us know your thoughts in the comments. 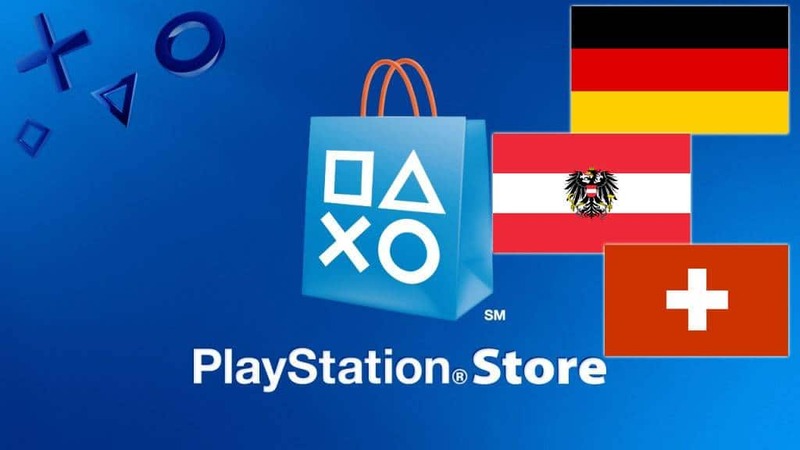 Click here to learn more and purchase online or go to the PlayStation Store to activate instantly. The Expendables 2 Videogame demo is a taste of all your favorite explosive moments, as your favorite stars, in four-player co-op action. Experience two single player levels and two multiplayer modes in the TRANSFORMERS: Fall of Cybertron demo! Pro Evolution Soccer 2013 brings the perfect balance of the beautiful game home. Right to the Blacksmith Pack 8 ($0.00) – Here is some good news for those too spineless or too lethargic to Convert! Take the following items and get your bad self to Gordon’s place! Cuprum x 3, Argentum x 3, Stannum x 3, Breunnerite x 3, Galena x 3, Aurum x 3, Iron Roze x 3, Hideralzentum x 3, Shining Fang x 2. Bonus Point Pack 5 ($4.49) – Thank you for your insatiable appetite for our goods and services. We have put together a package of useful points and cold cash. Included within: 100,000,000G, 1,500PP. Bonus Point Pack 6 ($3.99) – Thank you for your insatiable appetite for our goods and services. We have put together a package of useful points. Included within: 400,000TP, 1,500PP. Frensberge Specialty Pack 4 ($1.49) – A collection of items made in the image of Frensberge’s most colorful citizens! If you want to be accepted as a TRUE Frensberger, you’ll need all of this stuff! What’s this? A note from Chloe: I’m making stew tonight. If you come home late, expect the -Queen of Iron Fist Matrimony- Banana Sword x 1, Chickapede Alert x 1, Red Thrusting Hell x 1, Le Crusher x 1, Chloe’s Incense x 1, Merchant’s Charm x 1. 2nd Extra Character ($2.49) – Hark! Allies that will share in your joys and sorrows have come in droves! Now, it is time to overcome adversity together! Additional Massage Costumes ($2.99) – Here is some truly titillating attire for a lovely lady to wear while receiving a sensuous massage! Get someone to put this on…NOW! Shaldie Mail Order 2 Pack ($2.99) – One of my experiments went sideways on me and I ended up conjuring up a pile of useless cra– I mean a treasure trove of wonderful items. I owe you a favor or two, so I’ll let you have it all…at a very reasonable price. It’s not like I’m ever going to use it, anyway. Alfa Beld Spear x 1, Rod of Omniscience x 1, Rebellion x 1, Core Elemental x 1, Avian Lapband x 1, Chickapede Charm x 1. Swap Costumes Note – The following Swap Costumes DLC add-ons are exclusive content for STREET FIGHTER X TEKKEN. These add-on contents can only be used if the additional character pack has been purchased. Sakura (Swap Costume)($0.99) – In order to attend a cultural festival at Asuka’s school, Sakura borrows one of their uniforms. Blanka (Swap Costume)($0.99) – After a fight with Hwoarang, the two become friends. Rumor has it that Blanka decided to get some matching clothes as a token of appreciation. Guy (Swap Costume)($0.99) – Rumor has it that Guy disguised himself as Kazuya in order to infiltrate the G Corporation. Cody (Swap Costume)($0.99) – Rumor has it that Cody beat Paul in a money match, but after Paul came up short on funds he was forced to pay with the shirt off his back. Elena (Swap Costume)($0.99) – Rumor has it that Elena met Julia during the latter’s reforestation activities. The two became good friends, and Julia gave Elena these clothes as a present. Dudley (Swap Costume)($0.99) – Rumor has it that this was a present from a certain dancing Tiger. Dudley was reluctant, but it would be rude not to accept such a thoughtful gift. Lars (Swap Costume)($0.99) – Rumor has it that after defeating a ninja named Geki who had come to take his life, Lars decided to don his outfit and try to infiltrate his organization. Alisa (Swap Costume)($0.99) – Rumor has it that after hearing that Juri is working together with M.Bison, Alisa disguised herself as Juri in the hopes of getting to the bottom of Shadaloo’s recent activities. JACK-X (Swap Costume)($0.99) – Rumor has it that to gain more information about the sumo style of fighting, JACK-X decides to enter the sumo world. He tries to dress for the part, but somehow this makes him even more conspicuous! Bryan (Swap Costume)($0.99) – Rumor has it that with his powers and abilities being recognized by Urien, the second in command of a mysterious organization, Bryan is brought into their ranks. Lei (Swap Costume)($0.99) – Upon hearing about the activities of a suspicious individual, apparently Lei disguised himself as that man in order to sneak into his Hong Kong dojo. …The pink unexpectedly suits him. SF DLC Char Swap Costume Complete Pack($3.99) – A pack featuring the swap costumes for the 6 Street Fighter DLC characters. The SF cast take on the look of Tekken characters with these new outfits. Characters Included: Sakura, Blanka, Guy, Cody, Elena, Dudley Note: Please be careful not to purchase the same costume twice. This add-on content can only be used if the additional character pack has been purchased. TK DLC Char Swap Costume Complete Pack($3.99) – A pack featuring the swap costumes for the 6 Tekken DLC characters. The TK cast takes on the look of the Street Fighter characters with these new outfits. Characters Included: Lars, Alisa, JACK-X, Bryan, Christie, Lei Note: Please be careful not to purchase the same costume twice. This add-on content can only be used if the additional character pack has been purchased. DLC Char Swap Costume Complete Pack($5.99) – This pack features the swap costumes for the Street Fighter and Tekken DLC characters. Characters Included: Sakura, Blanka, Guy, Cody, Elena, Dudley, Lars, Alisa, JACK-X, Bryan, Christie, Lei Note: Please be careful not to purchase the same costume twice. This add-on content can only be used if the additional character pack has been purchased. Additional Characters Pack (12 Chars)($19.99) – 12 new Street Fighter and Tekken characters join the battle! Characters Included: Sakura, Blanka, Guy, Cody, Elena, Dudley, Lars, Alisa, JACK-X, Bryan, Christie, Lei MEGA MAN and PAC-MAN are also included! Note: This add-on is exclusive content for STREET FIGHTER X TEKKEN. Snow White Costume ($1.99) – Download this costume to dress your Sackgirl up as Disney’s Snow White! You must have LittleBigPlanet 2 in order to download and utilize this costume. Jasmine Costume ($1.99) – Download this costume to dress your Sackgirl up as Disney’s Jasmine! You must have LittleBigPlanet 2 in order to download and utilize this costume. Aurora Costume ($1.99) – Download this costume to dress your Sackgirl up as Disney’s Aurora! You must have LittleBigPlanet 2 in order to download and utilize this costume. Cinderella Costume ($1.99) – Download this costume to dress your Sackgirl up as Disney’s Cinderella! You must have LittleBigPlanet 2 in order to download and utilize this costume. Barney Ross Full Upgrade ($0.99) – Fully upgraded Barney Ross skills and weapons. Hale Caesar Full Upgrade ($0.99) – Fully upgraded Hale Caesar skills and weapons. Gunner Jensen Full Upgrade ($0.99) – Fully upgraded Gunner Jensen skills and weapons. Yin Yang Full Upgrade ($0.99) – Fully upgraded Yin Yang skills and weapons. All Characters Full Upgrade ($2.99) – All characters fully upgraded skills and weapons. Scouting Report ($0.99) – Gain the competitive advantage by increasing your insights into your opponents stats before every online match begins with the Scouting Report! Special Edition Pack ($1.99) – The Special Edition Pack includes the Hammerhead shotgun, G9 grenade launcher, Molotov Cocktail and classic characters like Max Payne, Mona Sax and Jack Lupino. Please Note: The Special Edition of Max Payne 3 includes this content. Add-on content, Max Payne 3 required to play. This content is part of the Rockstar Pass and will be available to Rockstar Pass purchasers in game upon release. A Pirate’s Clothes ($2.99) – A set of stylish items for the player including a hat, boots, trousers, a pistol and a special ring which increases the rate the player accumulates experience by 5%. Risen 2 Dark Waters – Treasure Isle ($9.99) – Journey to an unknown island in a story quest that offers new environments to explore with many puzzles to solve, treasures to loot and mysteries to unravel. Risen 2 Dark Waters – Air Temple ($9.99) – Uncover the mysteries of the Air Temple in this exclusive story quest line. Explore an additional island with new characters, quests and enemies. FUBAR Pack ($3.99) – Get immediate access to the Officer Class and AK47 weapon for multiplayer, as well as the FUBAR Pack of exclusive character accessories for each class. The Officer Class assists your teammates by giving you gameplay bonuses including the ability to create ammo drops, increased firepower, and increased armor. Rock Band 3 – Build your Rock Band library by purchasing song game tracks. For music credits, visit www.RockBand.com. “The End of Heartache” ($1.99) – Killswitch Engage. “The End of Heartache” – Pro Guitar (In Game Only) ($0.99) – Killswitch Engage. “The Arms of Sorrow” ($1.99) – Killswitch Engage. Killswitch Engage Pack 01 ($5.49) – This pack includes “Starting Over,” “The Arms of Sorrow,” and “The End of Heartache” by Killswitch Engage. Compatible with Rock Band 3 and Rock Band Blitz. “Until I Feel Nothing” ($1.99) – Carnifex. Compatible with Rock Band 3 and Rock Band Blitz. “Come Now Follow” ($1.99) – Amberian Dawn. Compatible with Rock Band 3 and Rock Band Blitz. “ Collide” ($1.99) – Anarchy Club. Compatible with Rock Band 3 and Rock Band Blitz. “Coming Undone” ($1.99) – Shatterglass. Compatible with Rock Band 3 and Rock Band Blitz. “Reson-8-R (Pts. I & II)” ($0.99) – Christopher J. Compatible with Rock Band 3 and Rock Band Blitz. Underground Pack ($1.99) – Free from the Asylum and delivered fresh from crazy town, Lil and Laarg discover an underground railway. Could this be their ticket home? Pick up this treacherous new DLC pack to discover an entirely new labyrinth of 19 puzzles and death traps, but beware—Bakuki will stop at nothing to prevent your escape! The Underground Pack also delivers even more Challenge Modes, four new costumes, and four additional Trophies. Download it today! To use this download, you will need the Escape Plan Full Game.